Sister Act is a musical written by Bill and Cheri Steinkellner with additional book material by Douglas Carter Beane, with lyrics by Glenn Slater and music by Alan Menken. It is based on the hit 1992 film comedy of the same name. The 2009 West End production was produced by Stage Entertainment, Whoopi Goldberg, and Michael Reno for Sis Acts LLC. Goldberg is also a producer of the 2011 Broadway adaptation. The musical premiered at the Pasadena Playhouse in Pasadena, California on October 24, 2006 and closed on December 23, 2006. It broke records, grossing $1,085,929 to become the highest grossing show ever at the venue. Patina Miller, who would later go on to play the role of Deloris when the show opened in London, was in the ensemble and understudied Deloris. 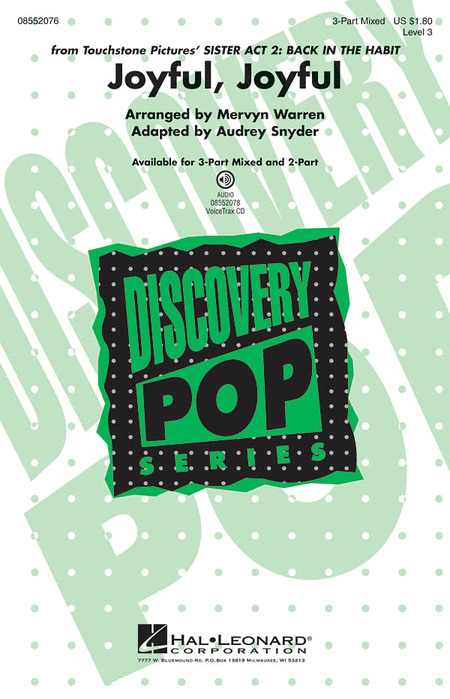 The musical was directed by Peter Schneider, developed by Schneider and Michael Reno,choreographed by Marguerite Derricks, with set design by David Potts, costumes by Garry Lennon, lighting by Donald Holder, and sound by Carl Casella and Dominick Sack. 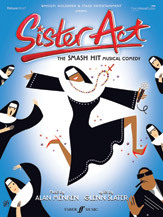 Sister Act opened in the West End at the London Palladium on June 2, 2009, following previews from May 7. A newly revised adaptation of the show opened on Broadway at the Broadway Theatre on April 20, 2011, after previews beginning March 24, 2011. Jerry Zaks was the new director with Douglas Carter Beane rewriting the book. 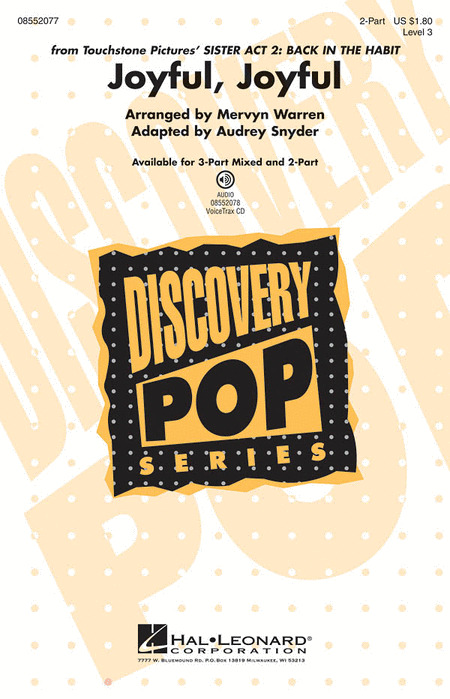 The show received multiple Tony Award nominations for the 2011 season, including for Best Musical, Best Actress in a Musical (Miller) and Best Featured Actress in a Musical (Clark). The production closed on August 26, 2012 after 28 previews and 561 performances. Highlights from the hit comedy starring Whoopi Goldberg. Songs include: My Guy (My God) - Rescue Me - Shout - and more. Features photos from the movie. 33 songs from the hit movie with Whoopi Goldberg. Includes: Ain't No Mountain High Enough - Dancing in the Street - His Eye Is on the Sparrow - Ode to Joy - What Have You Done for Me Lately - and more. From the hit movie Sister Act. Those nuns can really boogie! 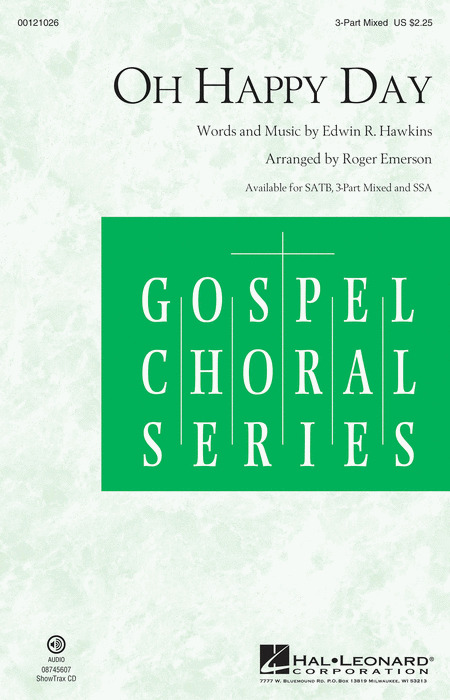 Available: SATB, SSA, 2-Part. Performance Time: Approx. 3:20. From the movie Sister Act 2: Back in the Habit, here is a contemporary and exciting rendition of Ode to Joy in gospel and hip-hop style. Geared to the younger choir, yet maintaining the rhythmic vitality of the song, this arrangement is accessible to most groups. Available separately: 3-Part Mixed, 2-Part, VoiceTrax CD. Duration: ca. 3:40. Sister Act 2 brings us an energetic gospel treatment of the immortal Ode to Joy melody in an accessible, authentic-sounding arrangement. Now available in a 3-Part Mixed voicing, this raise-the-roof showstopper is electrifying! Available: SATB, SSA, 2-Part, 3-Part Mixed, Instrumental Pak, ShowTrax CD. Performance Time: Approx. 3:45.